OMG some people in the US are going to get 5G, like, next year. We’re sooo jealous! 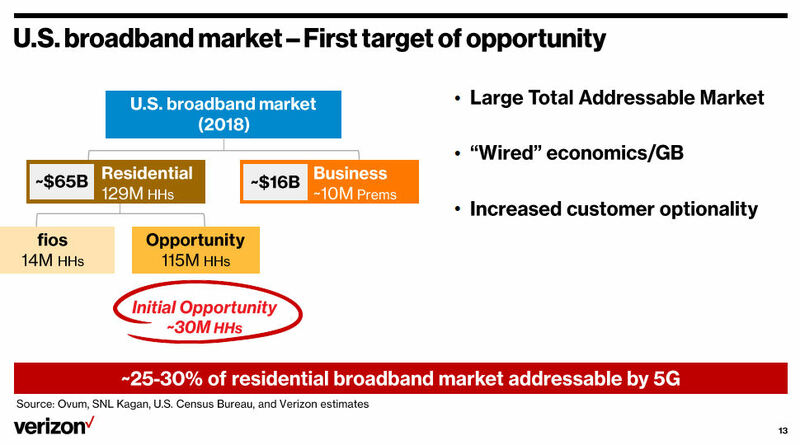 Before we get too excited it should be noted that what we’re talking about here is fixed wireless, used to deliver domestic broadband services. 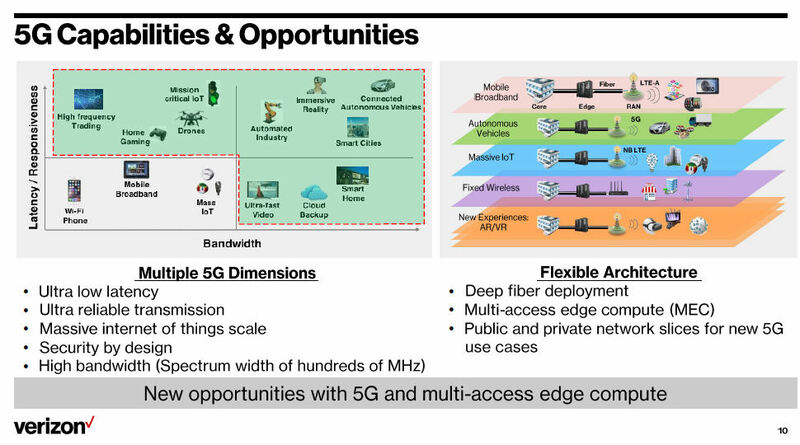 At an analyst day Verizon said it plans to launch this 5G-infused broadband in 3-5 US markets next year, starting with Sacramento. Details and specifics were thin on the ground, leading many analysts to note that it was hard to draw any concrete conclusions from it. This piece on Barron’s seems to sum the mood up nicely and it seems they were hoping for some proper 5G announcements. One of the few commentators to get any additional details was Light Reading, which found out the kit being used is supplied by Ericsson and Samsung. 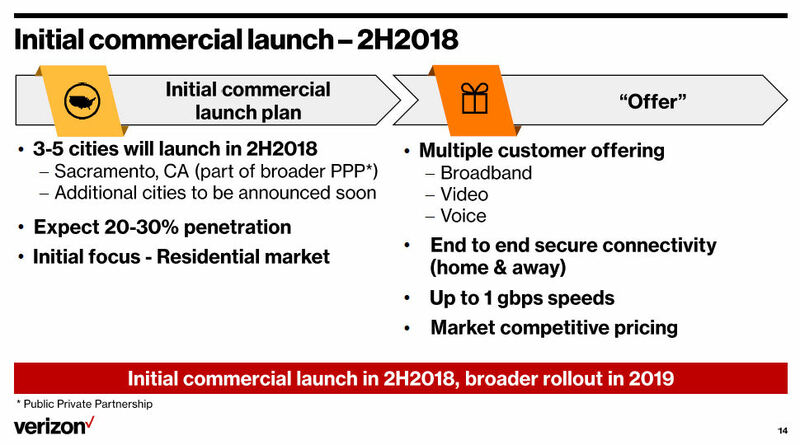 This 5G FWA will use the 28 GHz spectrum band and Verizon reckons the total addressable market for this sort of thing in the US is around 30 million homes. 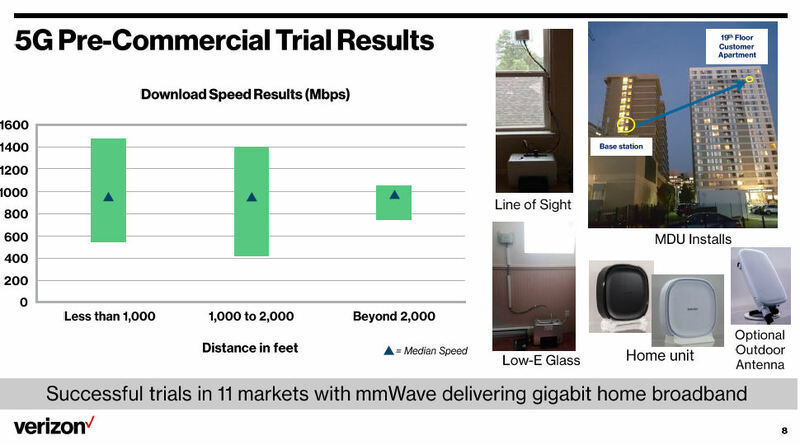 FWA seems like a great idea, considering you don’t have to lay cable, dig up streets, etc, but it also has many challenges, including the poor propagation characteristics of millimeter wave spectrum. Here are some slides and a vid, you can’t say fairer than that.